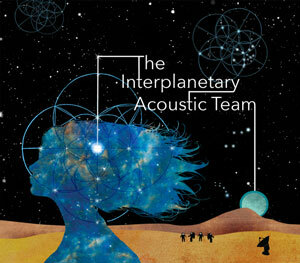 The first thing to understand about the music on the album “11 11 (Me, Smiling)” by The Interplanetary Acoustic Team, is that it is not representative of any one genre of music, but rather a representation of an emotional state of being. Recorded by poet Brian Turner and a cast of assembled talents, the album is in honor of his late wife, the poet Ilyse Kusnetz, who also collaborated, on this, the project’s debut album. Deeply contemplative of cosmology and consciousness, in an existence destined to deal with death, this is an amazing body of work for any artist to have under their belt. And one which has been influenced by the shifting template of contemporary music over the last 20 years, yet not be the least distracted by it. Brian Turner is an aficionado of soundscape storytelling. He creates a sonic atmosphere that engulfs the listener. As life has its highs, lows, loud and quiet moments, as well as beautiful ones and ugly ones, the music here reflects those moments. “11 11 (Me, Smiling)” is a lush, wistful, and melancholic ride, as Turner’s inquiring mind journeys to many territories, seeking new boundaries and a way to connect with his departed loved one. In an interview with Poets & Writers, a few months back, Turner said: “I wanted to keep making art, to keep our conversation going, to somehow cross into the wide expanse of the cosmos so that we might continue to love each other.” This album is his attempt at answering, or at least conveying an appreciation for those thoughts and ideas. The opener and title track ‘11 11’ is a sly way to start, as its progressive fusion mix of tumbling brass and funky guitar strums, together with rolling bass notes make it difficult to know what to expect from the rest of the record. It makes for a rhythmic, attention-grabbing intro, but not indicative of the atmospheric beauty to come. 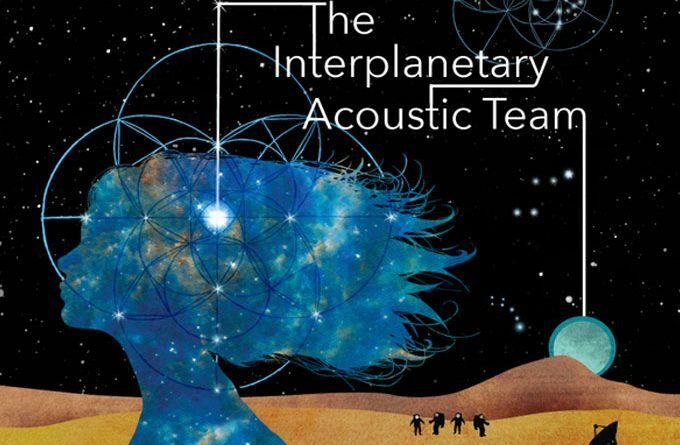 The Interplanetary Acoustic Team makes a theme of shifting between heavily layered tracks and more bare-boned contemplative ones throughout the record. And he is largely successful in binding the two and avoiding a discordant narrative. Much the same could be said of the way he brilliantly marries the sung and spoken word choices to his compositions. The first track that knocked me out of my seat was “The Tremble Of Quantum Strings”. I can’t put my finger on exactly why I find this track is so captivating, but the melding of the deep resonating bassline, the twirling synth washes, and the repeated restrained vocal tone has a totally hypnotic effect on the senses. The record consistently shifts between bold statements and quiet reflection. “A Fundamentally New Idea In Synthesis” is one of the album’s musically bold statements. Loud overdriven guitars contrast with luscious angelic choral-singing within a sensorial pandemonium. Turner has spoken of the death of his wife, and the undulating nature of the album seems to be a reflection of his rootlessness and those aspects of his life that are constantly changing or disappearing. He does though, have Ilyse’s poems and her voice, to cling onto, while his search for an otherworldly connection continues. “The Stars” fleetingly rests on one underlying synth-effect motif, as the melodic mechanics on top, morph steadily. It begins gradually with a building bass riff that underpins the understated male vocal, making it, again for me, one of the most absorbing and successful tracks on the record. “Once your consciousness was uploaded, would you want to come back down?” That’s the question Ilyse Kusnetz ponders on “Planetary Bird Engine”. It’s a track where the horns and guitars blend in a transfixing way. It’s easy to lose yourself in the ebbs and flows of Turners’ beautiful textures at times like these. By the time you’ve gone through, “Islands In The Cosmos”, “Human (Looking Back)”, and “Goodbye Earth Goodbye Solar System”, you’ll realize that this album is purposeful, ambitious, and ties together a heap of ideas in a coherent gesture that will continue to gratify, even after many listens. “11 11 (Me, Smiling)” will be able to capture the imagination of fans from across a broad musical spectrum, bringing to life The Interplanetary Acoustic Team’s compositions in a way that’s elegant, emotional, and spiritual, as well as technically proficient. John J, Stotty p and King Low: “Underachievers” – awe-worthy!